​Liverpool defender Virgil van Dijk has revealed his struggles with various medical conditions which almost took his life ten years ago. Whilst playing for Dutch side Groningen, a 17-year-old Van Dijk began complaining of stomach pains during a training session, and he was eventually found by his mother curled up on the floor in pain. He was ultimately taken to the hospital for emergency surgery on a burst appendix, but his problems were much more severe. According to ​The Mirror, the burst appendix also led to Van Dijk suffering peritonitis and uraemia, both of which have been known to cause death in the past. Speaking about the situation, the ​Liverpool star said: “I looked death in the eye - and it was a terrible experience. For the first time in my life, football meant nothing to me. It was not important at all. This was all about trying to stay alive. “My mother and I were both praying to God and, to be honest, we were discussing various scenarios. At one point, I had to sign these documents. It was a will. If I would die in hospital, part of my money would go to my mum. Only three outfield players to play at least 1,000 minutes in Europe's top five leagues this season have not been dribbled past by an opponent. “Nobody wanted to raise this issue, but it needed to be dealt with because there was a chance that I would die there and then. I remember lying in bed. All I could see were tubes and wires on my body. Doctors told Van Dijk's mother that his incredible physical fitness was the only reason he had survived the lethal conditions. He spent several days in intensive care, before finally being allowed to return to training with Groningen. However, when he did so, he had lost more than a stone in weight. Fortunately, the 27-year-old managed to recover from this experience and forge out an incredible professional career. 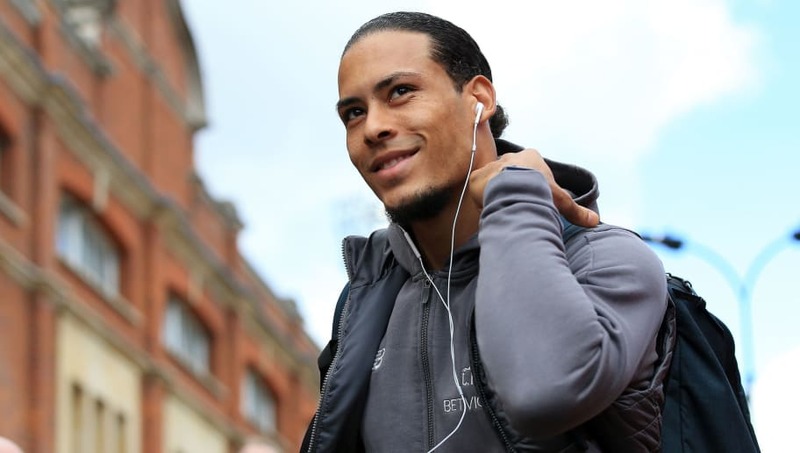 Impressive performances with both Celtic and ​Southampton led to a £70m move to Liverpool, and Van Dijk will be looking to repay the Reds' faith in him by guiding them to the ​Premier League title.